This may not be the time or place but here goes anyway. Last night I had another dream about Flint’s BBQ. Flint’s BBQ was a junky little BBQ chain in the San Francisco East Bay cities of Oakland and Berkeley. 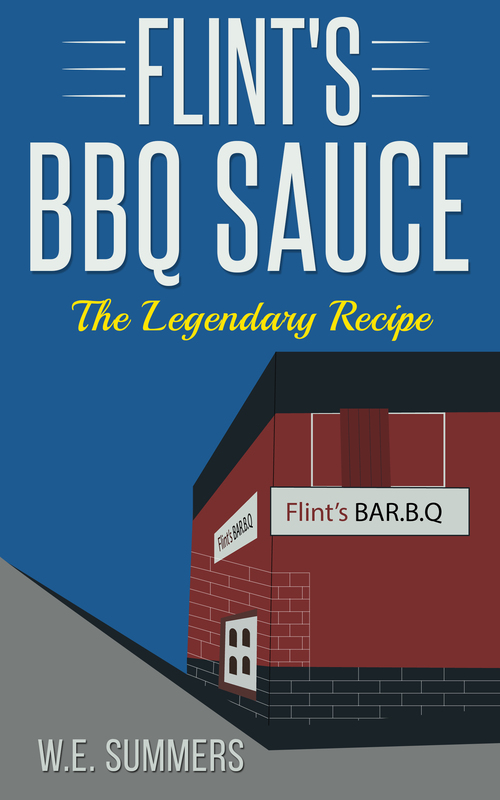 It closed over twenty years ago, but even to this very day people all over the world still talk about Flint’s BBQ sauce. Starting around five P.M. a line would start forming at all of the Flint’s shops. I usually went to the one on Shattuck in Berkeley in the earlier evening. In the line would be thugs, prostitutes, housewives, rich people, people with Phds, professors, rock stars, hippies, basically any type of person you could possibly imagine. It was impossible to order for take out or reserve a place or time to pick up, the only option was to go there and wait in a line up, which could easily be forty-five minutes long. The service was brusque, the quality of the meat was fair, but the sauce was heavenly. I can’t tell you how many times I went to a rock concert only to see the band members standing in the line in Flint’s at three in the morning after the show. The experience at the other Flint’s shop on San Pablo in an area known as the “ho stroll” was even more extreme. First the neighbourhood was unsafe, the line up was filled with many dangerous people as well as prostitutes and petty criminals. However at 3 AM the wait here could be slightly shorter. After Flint died his children attempted to carry on but quickly ran the business into the ground. The sauce recipe has presumably been lost. recently a person I met online claimed to have reverse engineered the sauce , but is was not quite right. In my dream, which I have a variation of perhaps twice a year, I was following up on a tip abut Flint’s having reopened. It always involves lots of walking. Last night I walked through a newly developed open air food court located in Sequoia Park in the Oakland Hills, there were even rumors that they had a “Top Dog” store there..I finally came to another BBQ that was serving meat loaf with Kraft BBQ sauce on it . One of the customers told me that Flint’s was indeed re-opening someplace across town, but they were still under construction and in the process of obtaining a plumbing permit. So no Flint’s today. I then woke up. Now that I no longer live in the US I have discovered that it is literally impossible to get really good BBQ. I even found a place in Vancouver that was making their BBQ using Douglas Fir as their wood for smoking – unbelievable ! BBQ is a food that is actually rare. The best most authentic BBQ is made by African Americans, and is usually found in the Southern States as far North as Missouri. Sadly, there has been a recent intense effort to re-brand BBQ as a creation of Southern Whites. There have been several TV shows that promote this notion and attempt to completely remove BBQ from it’s African American origins. If this effort goes unopposed in another generation Soul food, including BBQ, will be said to have been created by whites, just like the claim is made today about rock and roll. Black American cuisine is a treasure that must not be allowed to be stolen. It has tremendous potential for wealth creation all along the supply chain from production to distribution to preparation and selling to the end customer. The economic power of rare cuisine is enormous. Just consider that in 1960 sushi was considered to be fish bait by most people, but twenty years later it was an international luxury food.